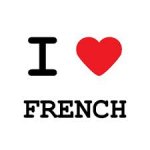 French is a Romance language spoken in France, Belgium, Monaco, Switzerland and parts of Canada as well as in communities in the southern U.S.A. and some African countries. The language descends from Latin and is the official language in 29 countries throughout the world and has many dialects. Over 300,000 people are French speaking in the UK since it is the official language of the Channel Islands with French being taught as a second language throughout most schools in the UK as France in the closest non-English speaking country to the coast of Britain. French was used as the official international and diplomatic language until English took-over in the latter half of the 20th century, but French is still used in many world organisations and committees such as NATO, The Olympic Committee, the International Court of Justice, World Trade Organisation, Red Cross, Amnesty International and the Eurovision Song Contest. Listed below are some of the best sites on the Internet for learning French. Many of them offer free tuition, but all of them give good instruction in the language ensuring and proving in a short space of time that we can all speak French. This is a small relatively unknown site, but it does offer very good instruction for learning French along with interesting facts about the language and why you should start to speak it. There is a section for learning French in France which gives a list of various French schools and destinations with suggestions and useful tips being offered. A complete section is dedicated to learning French online stating the courses that are available as well as giving information, assistance and demonstrations on vocabulary and grammar. 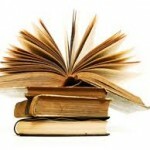 Books and dictionaries to use are suggested and full contact details are given on the site. The site is designed to help you learn French whether you are a beginner with the language or advanced using sound samples to help with pronunciation. Lessons can be selected with verbs, vocabulary, translations and adjectives all being separately listed for useful reference. An overview and demonstrations are given with configuration being shown after registration. Instructions on using the lessons are given and a full FAQ is offered on the site. The site offers three different courses in French, Rocket French, Complete French and Rosetta Stone. Reviews and features of each course are given and there are testimonials from satisfied customers. There are a few articles and a blog on the site. However, no new postings have been made for some time, but an indication of available courses can be gained. This is a fairly popular site with courses available in several languages and they are all free. 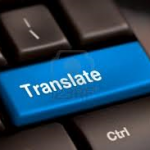 There are lessons, exercises and tests to complete with instant dictionary translation. Joining the club is encouraged to read all the chat in the forum and pen-pals from France can be made to practise language skills. Vocabulary sheets and useful tools are offered with a spellchecker and RSS feed provides all the latest postings and blog. A section with useful tips is given and full details about the site and the courses can be found. This is a very small site, but it advertises several different courses for learning French along with recent posts and comments about the courses. The courses are reviewed with the best features mentioned and advice is given on learning the language in France and practising. An interesting article stating ‘teach French to learn French’ provides useful information and further posts and comments can be viewed in the archives. The French tutorial has been on the Internet since 1999 teaching French for free. The guide is a step-by-step guide for learning the basics, grammar and vocabulary with audio support for pronunciation. An index and a table of contents make searching for information faster and help can be found from French nationals and speakers in the forum. All the information is free, but the site suggests a small donation in order to continue to provide free tuition to everybody and keep up the good work. Zap French is another free site for learning the language with only a small donation required to maintain the upkeep of the site. The lessons are given with simple explanations and guides are given on vocabulary, the basics and phrases with audio to assist with pronunciation. However, the site has not been updated for some time, but that does not detract from the information that is stated, which is useful and certainly provides a good grounding for learning French. This site has been specifically designed to learn French in the comfort of your own home making it very popular throughout the world since it is easily accessible. Magazines and eBooks with audio are offered with a list of courses to choose from. You can browse the line-up of teachers and decide which person you wish to help you in the one-on-one course along with many resources and links. Tips, hints and guides are given and there are special lessons offered for children and beginners. 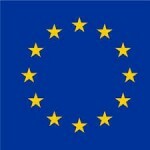 This is a great site for learning languages with German, Spanish and French being offered. Yabla French is an online magazine with videos, television programmes, music videos, interviews and documentaries in French with integrated dictionaries and listening exercises. Sample videos are available to watch with the most popular being highlighted. Flashcards and free lessons online are also available and the features of the player are given. Subscription details are provided on the site with the benefits demonstrated. This is a new way to learn French by receiving a podcast every day from Paris with a variety of learning tools. A seven-day free trial is offered with demonstration podcasts available to hear. There is a calendar to find previous pods and a section for exercises, grammar and vocabulary is shown. You can chat with the community in the forum in order to gain further tips and advice and the site gives full details about subscribing.